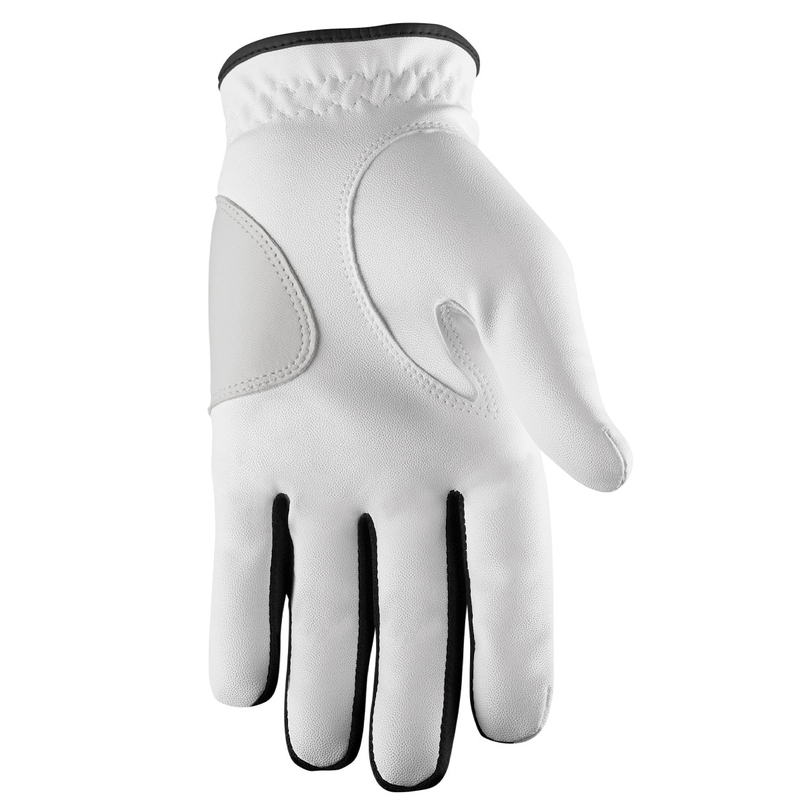 This premium quality golf glove offers durability and comfort, as well as a precise fit. 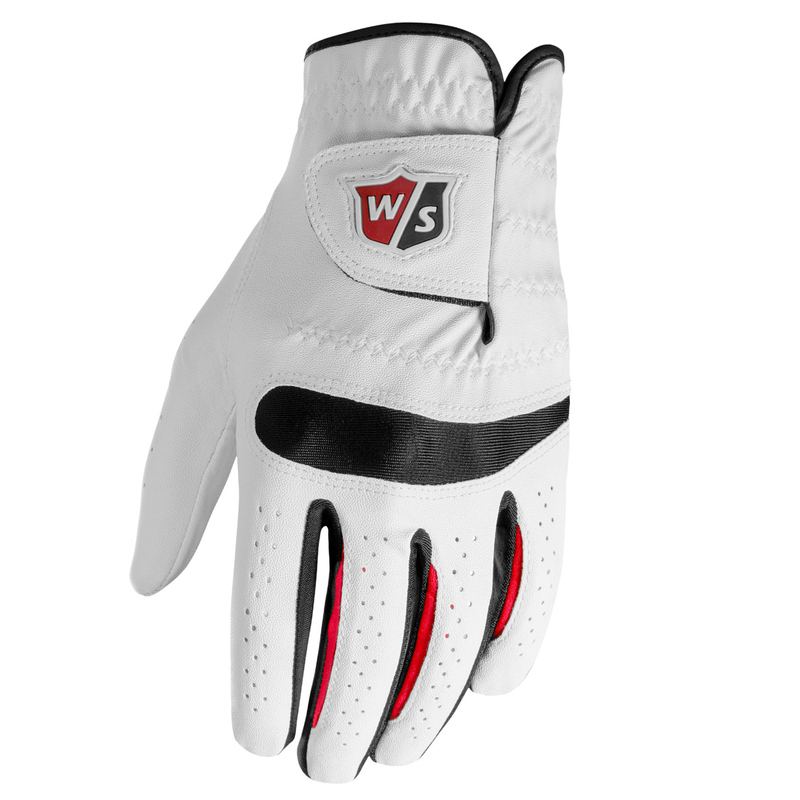 With a soft feeling synthetic leather material, for increased sensitivity, and a Cabretta leather palm patch for long lasting durability. To keep you more comfortable, the glove has Cool Max mesh knuckles and fingers for more flexibility, and to remove any access moisture away from the back of the hand. 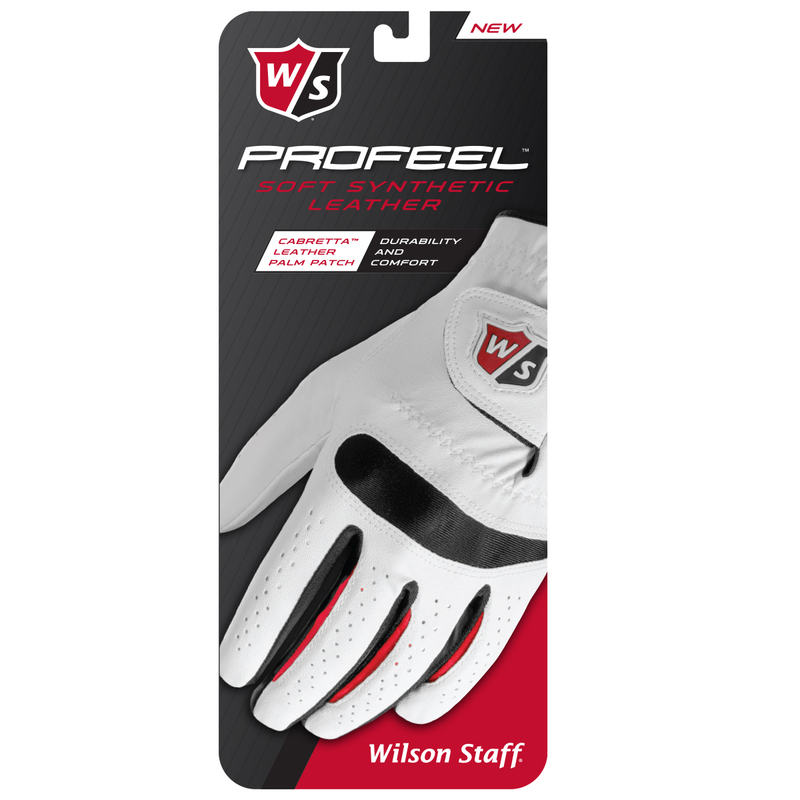 The glove has a Velcro tab adjuster, which is highlighted with a Wilson Staff logo.